We offer various sizes for different age groups. Our pillow is filled with a suitable weight to give a comfortable and huggable feel to your precious one. We have a standard size of 45cm x 15cm. Filled with 220g of kernel in each pillow. We have tailored this size and weight in order to have full coverage on baby’s chest comfortably and steadily. These were tested by many babies and feedback by happy parents. Urgent order within 1 week delivery is subject to a surcharge of 30% per order/set. Please note that as this is embroidered by machine, there are times that the outlines may be slightly off the picture. All necessary care and precaution will be taken, we would appreciate your kind understanding that not all picture embroidered will be 100% perfect. Colours of the picture might differ to compliment the overall fabric and colour of name. Except for some which is standard colours that cannot be changed. 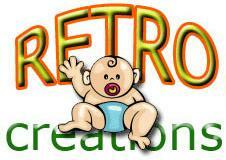 We custom make from baby to toddler to adult sizes. Adult pillow is catered to those who prefer a hard and high pillow. For every pillow or casing ordered, you are entitled to free personalization of your baby’s NAME ONLY up to 15 characters. Additional character is chargeable at $0.50. Chinese character personalisation is available. Standard Chinese name of 3 characters. 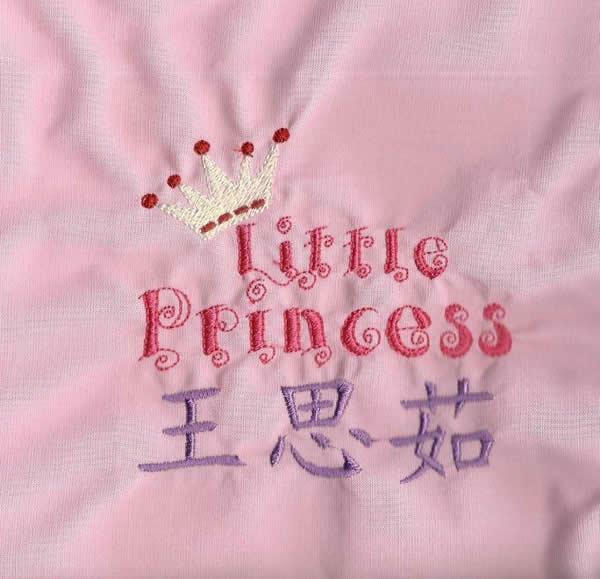 Pillow case with chinese name no additional cost. Pillow case with picture and chinese name has a surcharge of $8. There will be a charge of $5 for 1st 6 alphabets. Subsequent alphabet will be $1 each.